GUANGZHOU, China, April 5, 2019 /PR Newswire/ — The 125th China Import and Export Fair (Canton Fair) is set to exhibit a record number of new generation products, celebrating a new decade of human development with global customers from April 15 in Guangzhou. 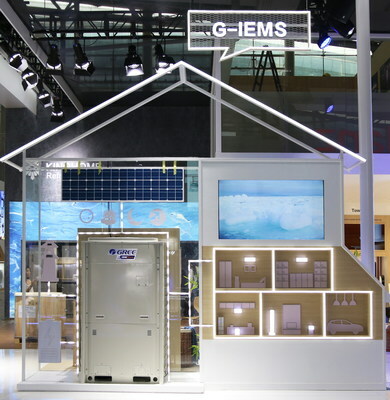 This year consumer electronics companies will present product innovations and technological breakthroughs designed to meet customer needs in the IoT and future 5G era. Home appliance leaders such as Haier, Midea, TCL, Gree and Changhong will bring their latest premium products to the show. The gathering will also be joined by global companies including Cascade, Time Lab and NUC, whose Product showcase will feature smart home functions and digital services, which can make home appliances the terminals for intelligent interaction between human and machine. “Human development has entered a new decade. The introduction of IoT has led to a significant global change in lifestyles,” Said Liu Quandong, Deputy Director General of Foreign Affairs Office of Canton Fair. “The Canton Fair has witnessed decades of development since 1957 as a forerunner event for manufacturing and is pleased to share this collective effort with global consumers as we welcome more smart products this year than ever before”, added Liu. The 125th exhibition covering 1.2 million square meters of display space will attract businesses from over 200 countries and regions, with more than 25,000 exhibitors throughout its three phases. Phase 2 and Phase 3 of the fair will bring more innovative, high-end, unique and diversified products in consumer products and textiles zone allowing global consumers to enjoy a smarter and comfortable life. Serving as a gateway for international companies to explore the Chinese market, the International Pavilion (the Pavilion) will feature more than 600 companies from 50 countries and regions showcasing their products. For the first time, the Fair will also highlight the establishment and development of the Guangdong-Hong Kong-Macao Greater Bay Area with various exchange meetings to promote trade cooperation.